This slide set is intended to be a helpful resource for lecturers presenting to audiences with a broad range of experience and training, including but not limited to medical students, medicine and family practice residents, nurse practitioners, physician assistants, primary care physicians, and physicians trained in sleep disorders medicine. Lecturers will be able to convey various parasomnias including diagnostic criteria as established in ICSD-3. The slides provide descriptions of the pathophysiology of parasomnias. 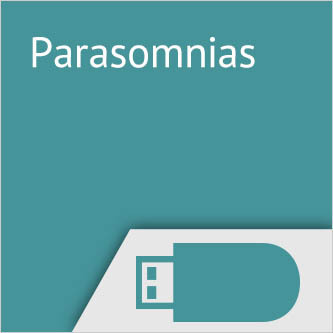 Additionally, content is provided to discuss the epidemiology and diagnostic evaluation of the different parasomnias and summarize potential treatment options for each parasomnia. This downloadable and fully editable PowerPoint presentation is delivered to you on a USB flash drive.